The Barrington Board of Education will privately discuss items involving personnel and potential litigation, according to the agenda posted this morning for the board’s special action meeting this evening. The public portion of the agenda calls for two transfers of $200,000 into the district’s Tuition Reserve account and Capital Reserve account. At that time, the board is scheduled to enter executive session away from the public. The mention of “potential litigation” also appeared as a matter for discussion on the board’s June 11 agenda, and the possibility of litigation was mentioned during the public portion of a board meeting in connection with the recent resignation of Woodland School Principal Mort Argoe. 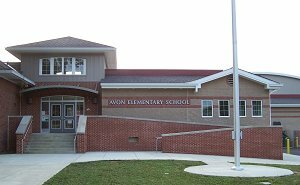 This entry was posted on June 27, 2012 by Barrington Bulletin in Schools and tagged avon, board, board of education, school, school board, special action, woodland.